Rose-Kim Knits: Remember the Pink Yarn? The stuff in the this picture? 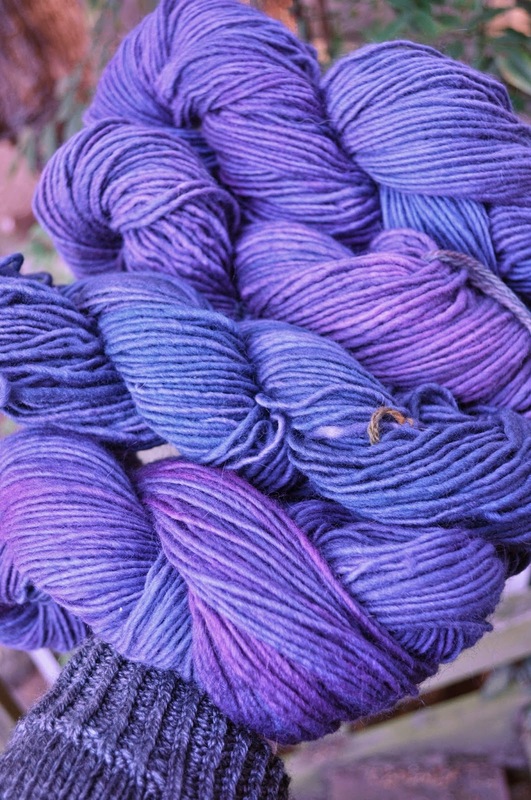 I threw it in the dyepot along with the lavender and mauve skeins in the lower left of the photo. I'm so much happier now. The lighting was a bit funky. I can't seem to correct this photo to really show the true color. It's a lot less vivid in real life. I promise. But now they all go together.